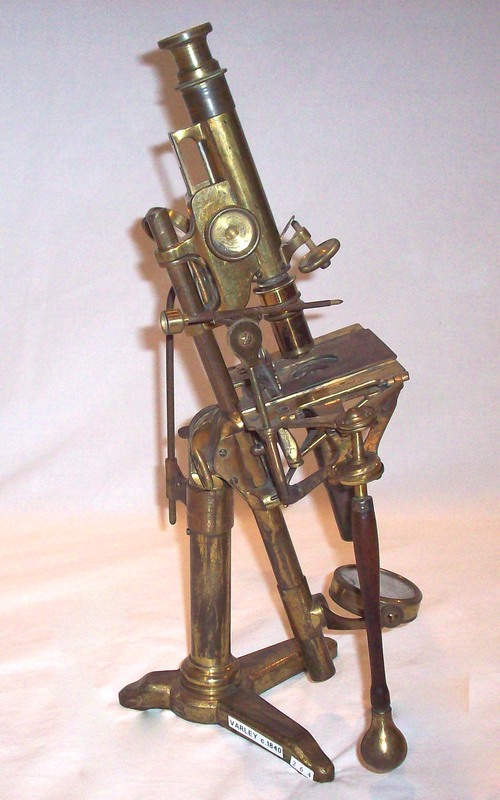 This is a bar limb microscope. It arises from a uniquely shaped foot with a U-shaped base and two uprights curving slightly forward with triangular cutouts in each. It stands about 440 mm high in the position seen in the images. 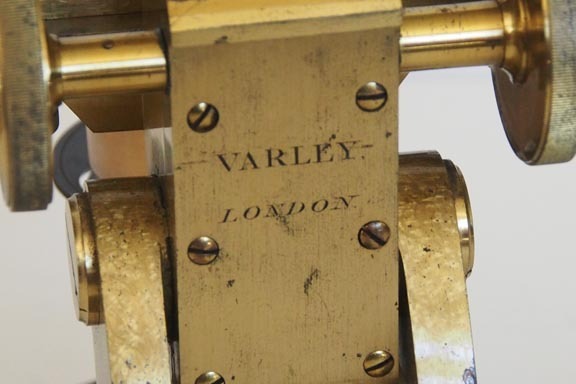 It is signed 'VARLEY, LONDON on the back of the pinion box which extends down to form the main attachment to the uprights. The tailpiece, extending from below that box, has a support for the mirror at its lower end. The gimbaled mirror is attached to the support, extending in front of the bottom of the tailpiece. Coarse focus is by straight rack and pinion, fine via a long lever within the arm. The arm is made so it can easily rotate 360 degrees which imparts both an 'aquatic' motion and allows it to be stored in its case turned 180 degrees back on itself. The Varley type of lever stage is controlled by a single lever extending down on the right side of the microscope. The original substage fitting has been replaced with an appropriate substitute sleeve into which the original substage apparatus fits. Accessories are numerous and include both those that fit in the main case and many in two accessory cases. 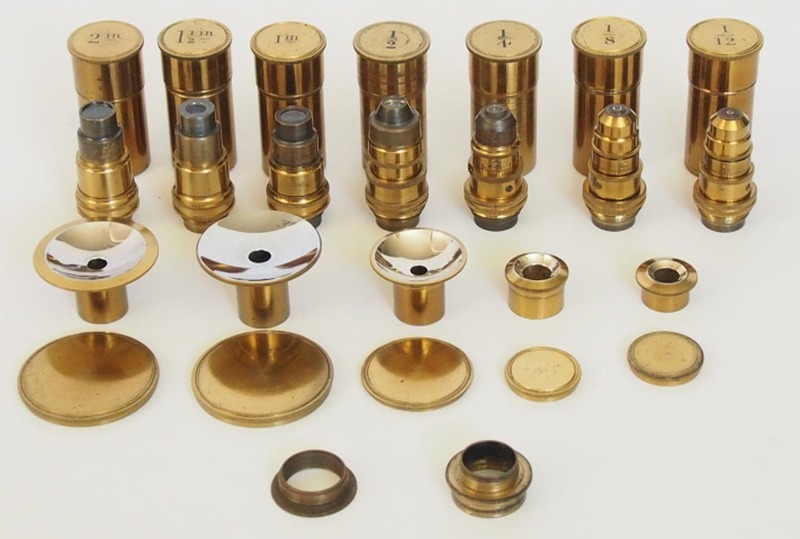 The accessories include at least four eyepieces, a set of seven Powell & Lealand objectives with five matching lieberkuhns, two nosepiece adapters, bench condenser, a Jackson-type eyepiece micrometer, a worm screw-driven Darker-type selenite stage, two brass-enclosed glass stage micrometers, a independently-mounted side reflector on stand, a nosepiece-mounting parabolic reflector, a Powell & Lealand type frog plate, a Wenham-Shadbolt type of parabolic substage illuminator, a Varley White Cloud Illuminator, a simple substage wheel of apertures, a dark well support with three dark wells, a Varley-type live box, a substage polarizer, an eyepiece analyzer, and some tools and glass items. There is a also a plane stage (presumably for rough work) which slides on to the lever stage. Click on the images of the accessory cases for more images and information on the accessories. 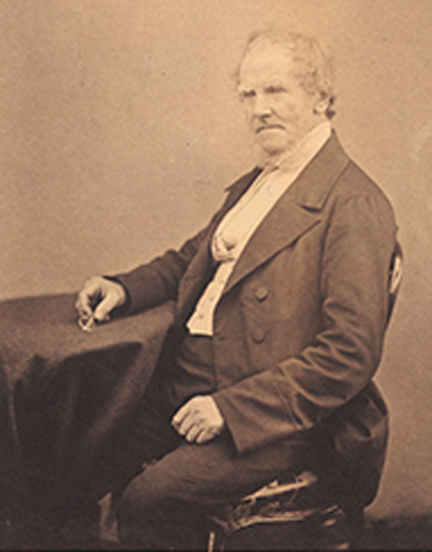 Cornelius Varley (1781-1873), a well known painter who used mainly watercolors, was apprenticed to his uncle Samuel, a watchmaker and instrument maker. He was a prolific inventor of optical apparatus, including his 'Graphic Telescope' which he patented in 1811. This instrument, a telescopic form of camera lucida, allows projection of the outline of distant objects onto a canvas or paper as an aid in drawing. He became keenly interested in optics and the microscope in particular. He learned how to grind his own lenses; some of the tools he used for grinding lenses and some of the lenses themselves are preserved in the Science Museum in London, (along with five of his microscopes). As a high-ranking member of the Society of Arts, many of his publications were in the Transactions of that body. According to his obituary published in the Monthly Microscopical Journal and other sources, Varley invented his first version of the lever-controlled stage, making use of a stirrup-shaped control, about 1824 for which he received a silver medal from the Society of Arts; this was a simple (i.e. single lens, not compound) microscope. 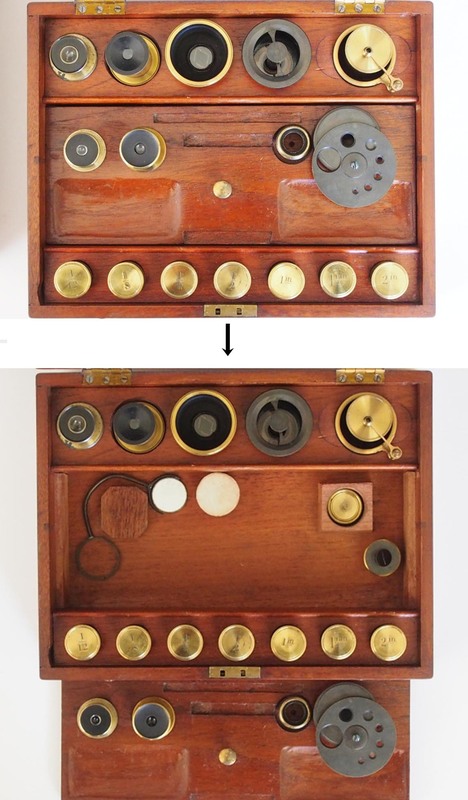 Varley invented this device to control the movement of the stage so that he could follow living organisms. Because the view under the microscope is reversed right to left and front to back, an organism appearing to move forward would appear to be moving backward. The lever allowed the observer to move the stage in the opposite direction to the lever and so following a moving subject would be simplified. The length of the lever from the fulcrum is long enough so that small movements can be accomplished by relatively large movements of the lever. 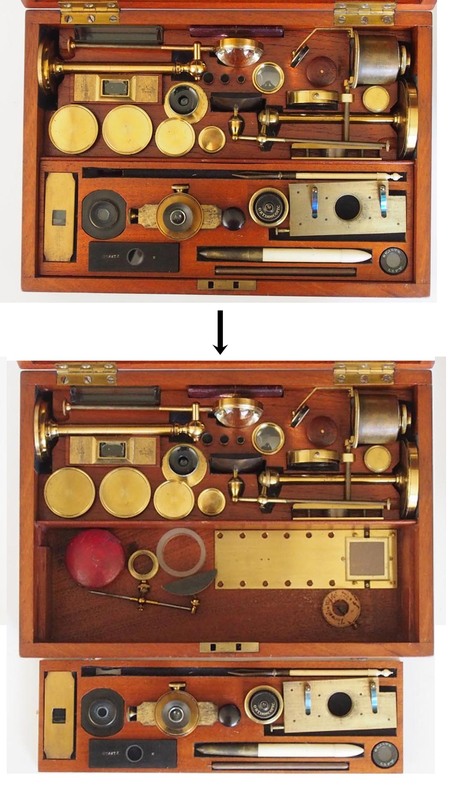 The earliest illustrations of two of his microscopes that I am aware of are his 'Microscope for Live Objects' and the first hand-held version of his 'Vial Microscope' seen in his publication of the Transactions of the Society of Arts, in 1831. The former instrument is shown to the left. Two years later, in 1833, his 'Vial and Animalcule Microscope' was shown in the same journal, and shown here to the right. This main stand also had the stirrup control and the main support could be used for the improved 'Vial Microscope' or the new form of lever stage simple microscope. In both cases, he described his 'Dark Chamber' illumination system, though of slightly different design for the Vial microscope. He subsequently developed an improved form, using a single under-the-stage 'joystick' for which the Society of Arts awarded him a Gold medal and he patented this form in 1841. 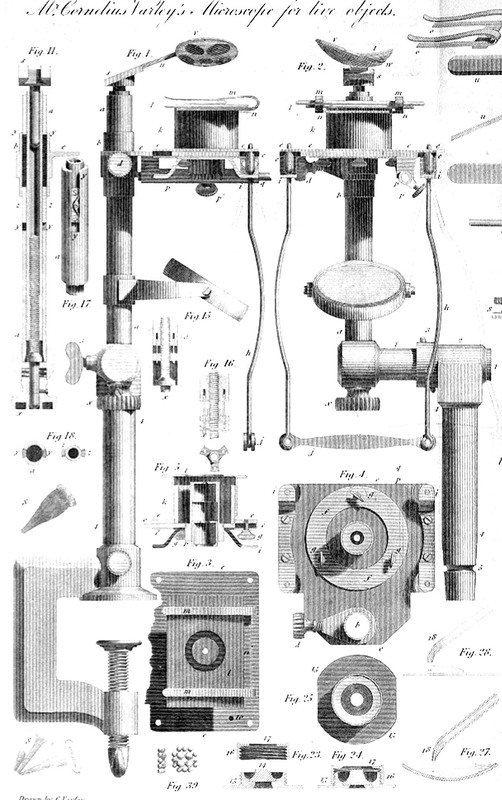 His own drawings and description of this famous microscope were first described in the Transactions of the Society of Arts in Volume 55, 1843. The same microscope is shown in the engraving to the left, taken from Varley's original 1843 publication, next to an actual example, from the collection of Dr Frank J. Belinskey, who kindly provided this and other images. 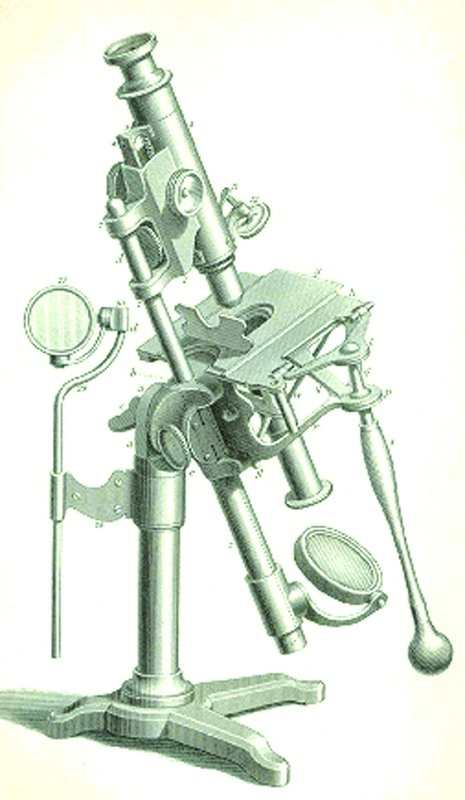 This form of single-lever stage is the predecessor of the form found on the microscope shown on the top of this web page. Varley was one of the founding members of the Microscopical Society of London, (later the R.M.S. ), in 1839. Varley's son(also Cornelius), worked with him from about 1848-1854 and during that period they traded as Varley & Son. As Varley had been apprenticed to his uncle, so was Varley's nephew, Andrew Pritchard, apprenticed to him. The two of them collaborated on making Jewel lenses and in improving lens-grinding apparatus. 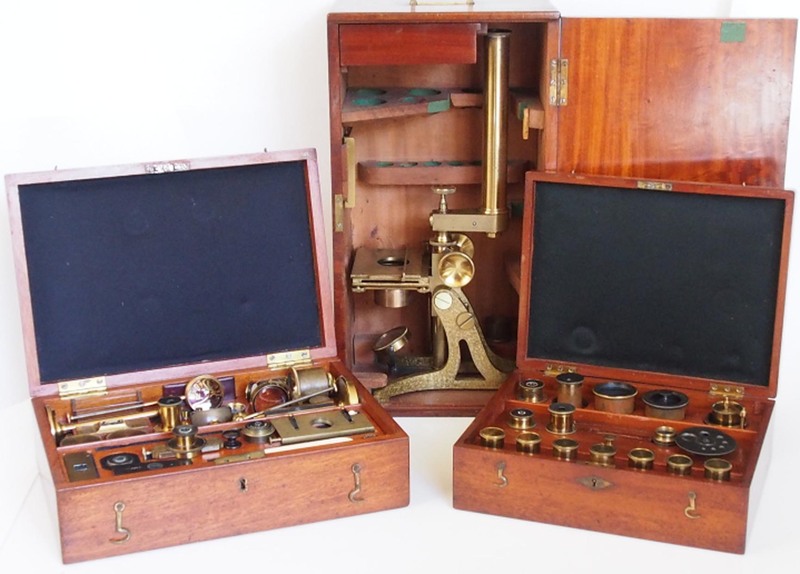 Varley invented many other things, including the White Cloud Illuminator and his own form of livebox, the 'capillary tablet or cage' both contained in the accessory boxes pictured above. 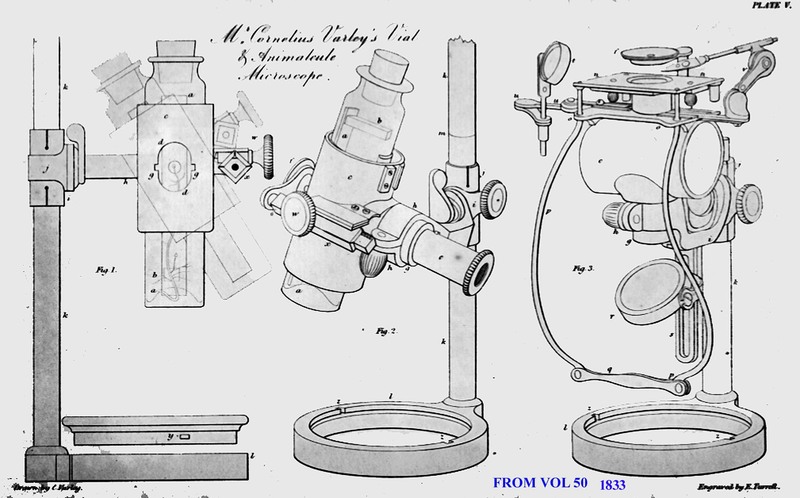 Other Varley inventions included the Varley Dark Chamber, dipping tubes to collect and manipulate pond life, his lever-stage 'Vial & Animalcule Microscope,' his 'Microscope for Live Objects,' and his famous 'Graphic Telescope' for projecting distant landscapes onto paper to help in drawing or painting. 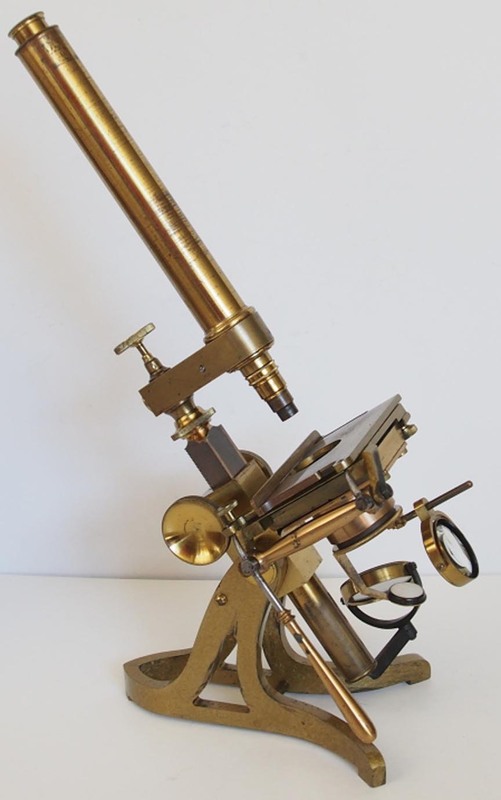 The author is very grateful to Dr Jurriaan de Groot, the owner of the Varley microscope shown at the top of this page, for providing the images of the Varley microscope and its accessories, and some of the above historical information, so that I may share them with you. I would further like to thank him for inspiring me to re-explore many of Varley's inventions and contributions to microscopy, also included now in the links above. 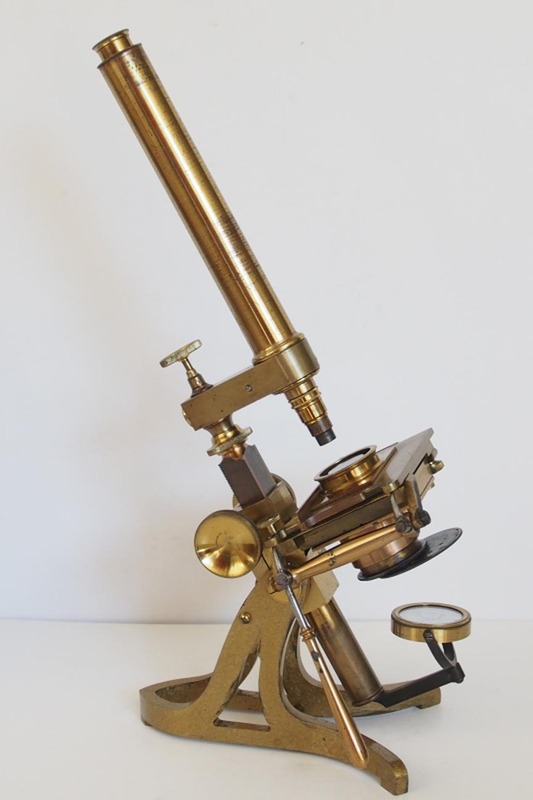 I would also like to thank Dr Frank J. Belinskey for images of his earlier Varley lever-stage microscope, more images of which are available on its own dedicated page.